The typical media planner has to juggle between receiving client briefs, relaying these requirements to Out-of-Home media specialists and asset owners, and reworking presentations manually based on site availability and client feedback. 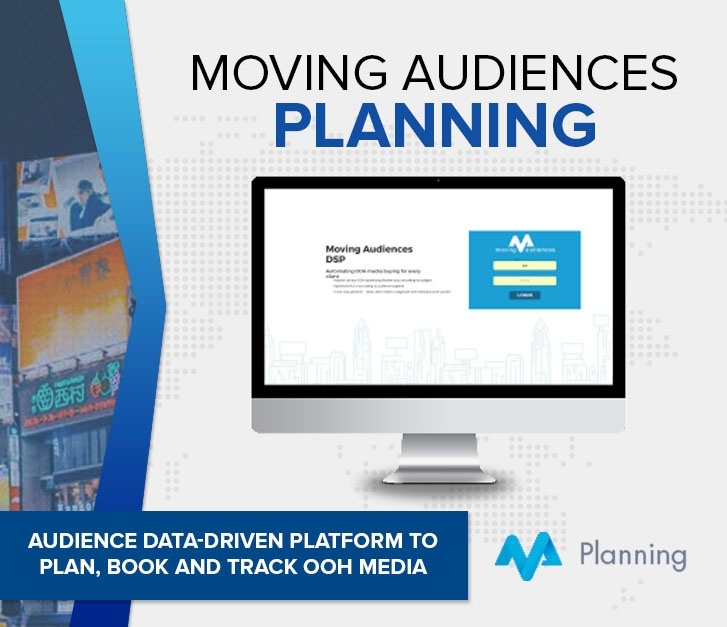 Moving Audiences Planning provides a single, online view of media sites allows planners to choose assets that are active, see available slots and note creative requirements. It reduces the time taken to respond to complicated briefs that require multiple media owners’ assets, cutting out waiting and negotiation time. How does the Planning tool work? Download the detailed product brochure for more information.